A bargain for value. 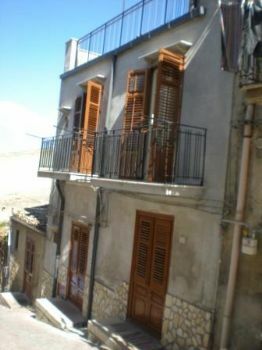 150 square meter mid terrace town house built on three floors in Regalgioffoli, 20 km from Caccamo. The property price includes all it's newly bought furniture. The top floor of this property will need cosmetical finishing in order to complete another 2 double bedrooms, in which one of these will access the 20 square meter terrace having fantastic hill side and mountain views.